Something about Australian Dairy Company that makes it so special. The breakfast, of course. You must try the scrambled eggs. A breakfast set goes for HKD$28 (S$5.09) and it is served with toast and a cup of tea. 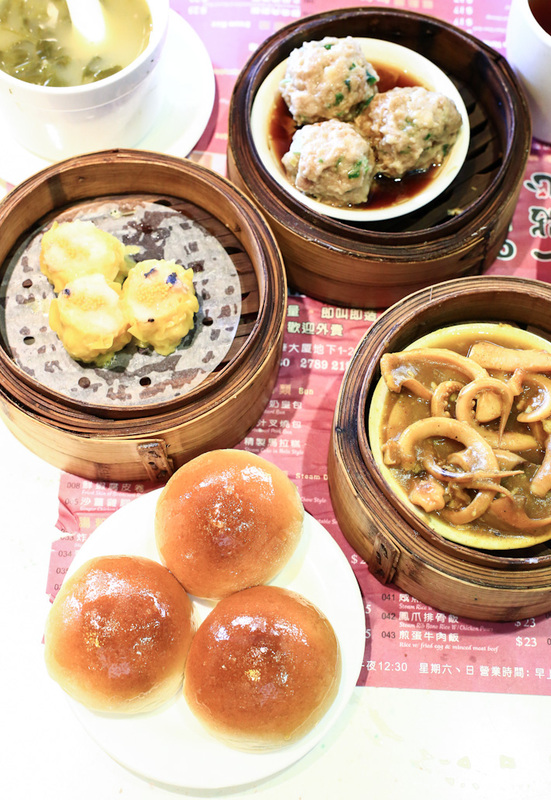 Listed on the 2013 Michelin Guide, it goes without saying that the dim sum served at One Dim Sum is a cut above the rest. The restaurant, however, is pretty tiny and waiting times can be up to an hour long. But trust us—the wait is worth it. The dim sum is also unbelievably affordable, with most items below HKD$25 (S$4.54). Go in a group so that you can order more items to share. Dim Sum Icon changes their theme every three months. When we visited, they had the Little Twins Stars theme up and boy, were we in love with the adorable pastel blues and pinks in our dim sum! Since it is tea time and you probably need a little break in between shopping, all you need is to order one dim sum each and a drink. Urban Bakery Works is indeed the first bakery to start serving the ever-popular Molten Salted Egg Croissants (HKD$22) at their Landmark outlet, much to acclaimed success everywhere. It is a must-try food item and you will know just why it is so popular once you have had your first bite. From the buttery outer layer to the smooth and tasty molten centre, everything about this croissant is baked to perfection. Nothing completes a day of gastronomical fun in Hong Kong than with some juicy roast goose. We have rounded up some of our favourites here, so you can take your pick from these popular restaurants. A whole roast goose can be pretty pricey so it is always best to go in a big group, or you can simply order an individual portion with rice or noodles. 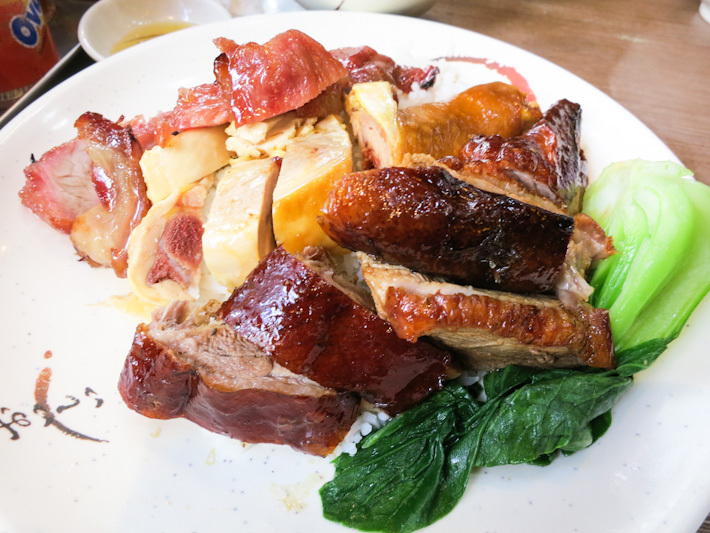 Roast goose in Hong Kong is of another level and nowhere else does goose better! *Do note that this is a rough number and that menu prices might differ slightly, as with currency fluctuations.